Starring – Chow Yun-Fat, Leslie Cheung, Cherie Chung, Kenneth Tsang. Review – A ‘crime caper’ by John Woo. Like The Killer or Hard Boiled but with more comedy. Comedy which often fails to translate. But even the failed jokes are hilarious in their own way. 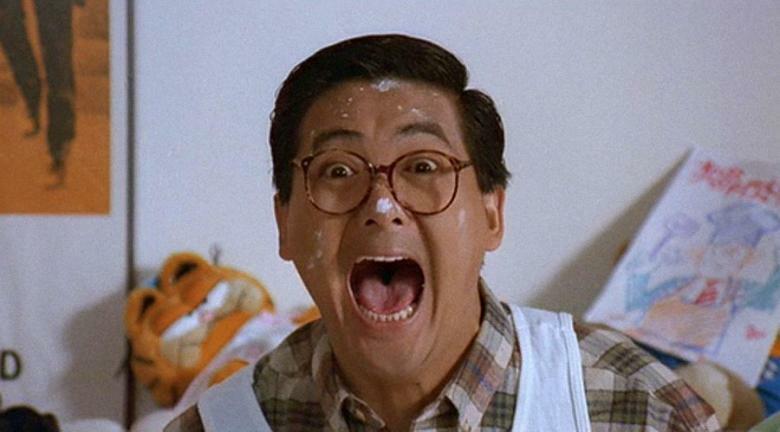 Seeing Chow Yun-Fat throwing a baby is funny in any language. The action is excellent as you’d expect, and the fight scenes are really inventive. It has its odd moments. Chow Yun-Fat spends most of the film in a wheelchair killing bad-guys and dancing, so perhaps don’t start with this film. But for fans of John Woo and Chow Yun-Fat it’s a must see.